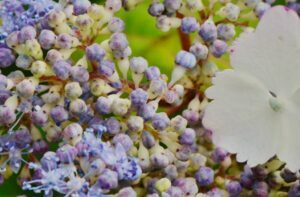 Flowers have always fascinated me. I’ve never quite understood why they’re invariably associated with being delicate or fragile. Because they’re beautiful? 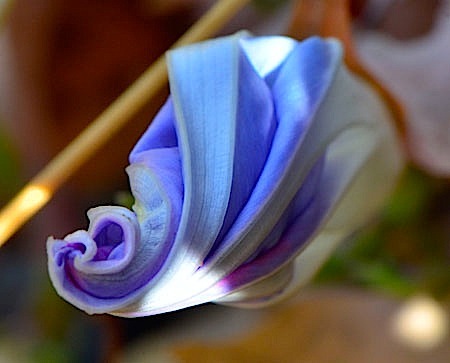 Personally, I connect with flowers much more as survivors, wonderfully changeable and strong in life, no matter the adversity thrown their way. Sort of like..women. 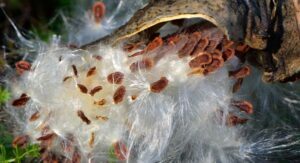 Milkweed has punky exuberance even in its explosion of seeds in late fall. People talk about an appreciation for living in New England for its full menu of seasons. I think that’s true. It’s all around as you experience the changing of natural media from early spring through late fall –underground again in winter. The big snowfall we had the other day was a blessing for all living things under the frozen soil. Here’s hoping we’ll once again see regular flowering in spring and summer. Snowy days are meant for hibernation. Until you go out to clear snow from the drive, overloaded trees or utility paths. As hard as it can be, there’s always a sense of accomplishment you get from it. I’ve been waiting to talk about this until it was really winter……Sprouts, and growing them inside. It sounds healthy because they really are.Vitamins, minerals and amino acids. Have you tried growing them? This project looked very promising to me. Eating crunchy greens is challenging in winter, unless you can make your own, right? Stay tuned. 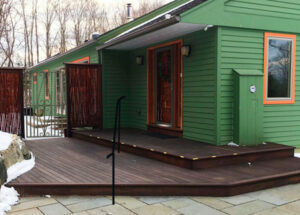 A new handrail is a critical addition for guests who aren’t as tuned into the two deck levels. The work continues on the iron for the garden. We also revisited a very necessary piece for the front deck- a handrail- with a local blacksmith. His suggestion to hang the single gate on the wood frame in the garden opening was appreciated. Consistent with the times, we engage in a fair amount of DIY- using online resources. Collaborating with professionals who understand their medium and craft beyond what a homeowner could learn online, means the world to us. Bob Kluge at Anvil Artistry, is one of those craftsmen. In case you forgot- Valentine’s is just around the corner. I was reminded of that when I saw the title of this song. “My Love is a Forest Fire”. One talent I hope to investigate in my next life is voice training. I can’t speak to this person, never heard her before, but her delivery is as I imagine it should be. The sound emanates from her whole body, not just her mouth. Fascinating arrangement. The group is an indie folk band called Y La Bamba from Portland Oregon. The vocalist-Luz Elena Mendoza. 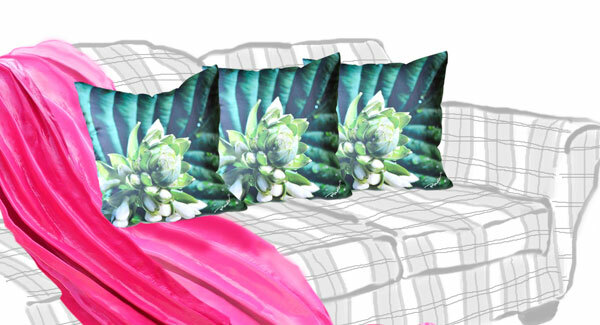 Paola Pillows bring my love for nature and comfort together- at your disposal! From my hands and heart to your home. Palma is actually a very pretty hosta leaf. 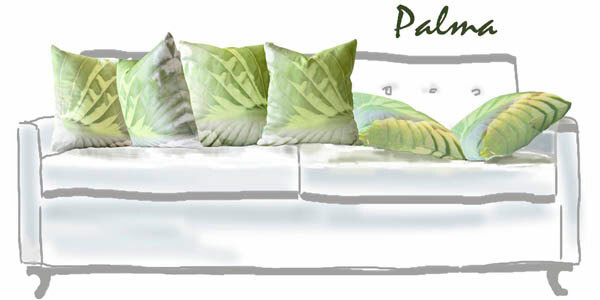 Palma doesn’t feature a big white flower as her counterpart, “Classic.” No less beautiful. agree?